Ever since LA was about 18 months old she has loved watching Doc McStuffins and the boys loved it before her, so it has been a big part of our household for a long time. We have had most of the available toys over that time. So when I asked LA if she would like to try out some of the new range of toys from Flair she beamed from ear to ear – as did the boys. 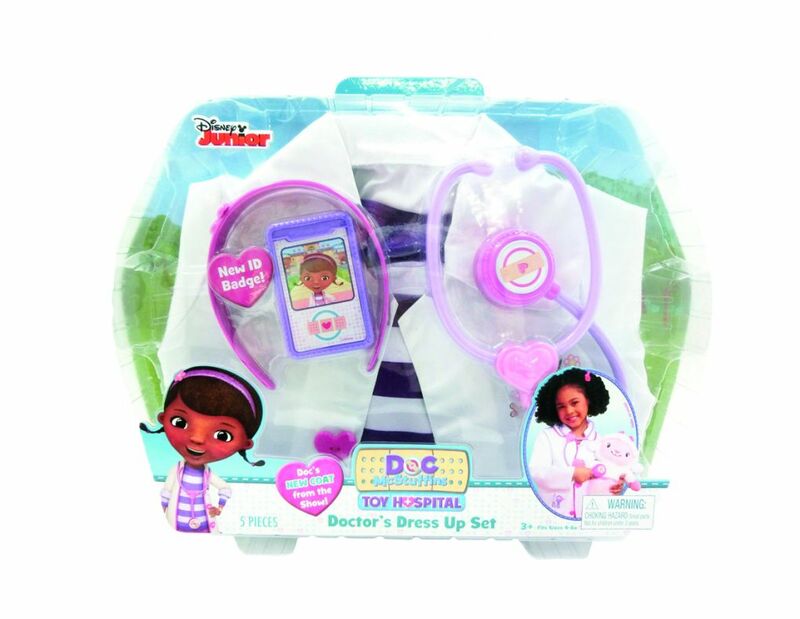 The two items we received were the Doc accessory set priced at £9.99 and the Doc Role Play set priced at £24.99. Both sets offer good value for money as the toys are strongly built and offer good playability opportunities. 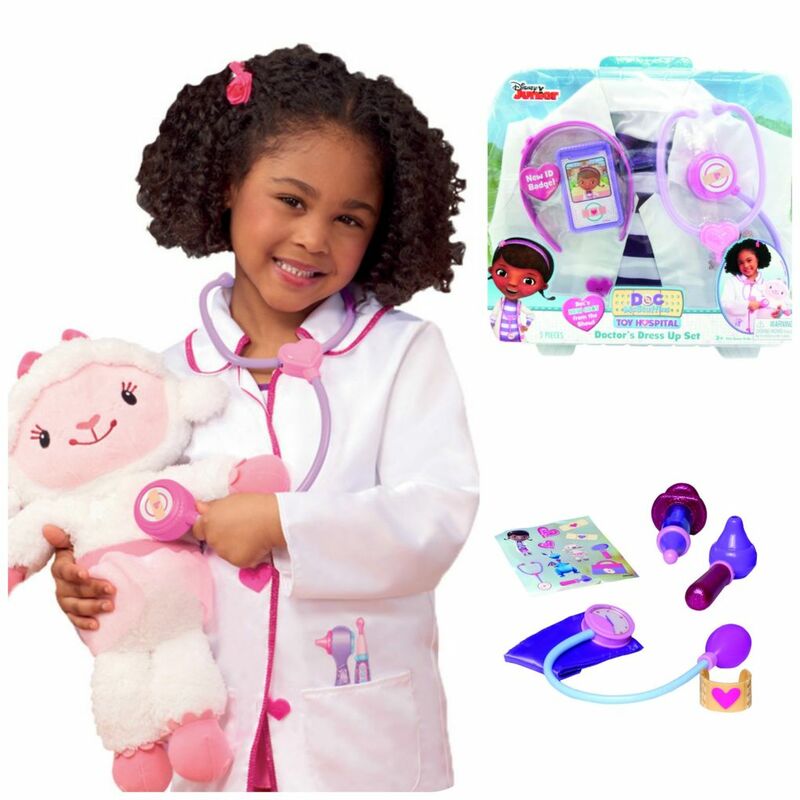 LA couldn’t wait to rip the packaging open and start pretending to be Doc Mcstuffins by making up all kinds of weird and wonderful illnesses that her toys needed curing. 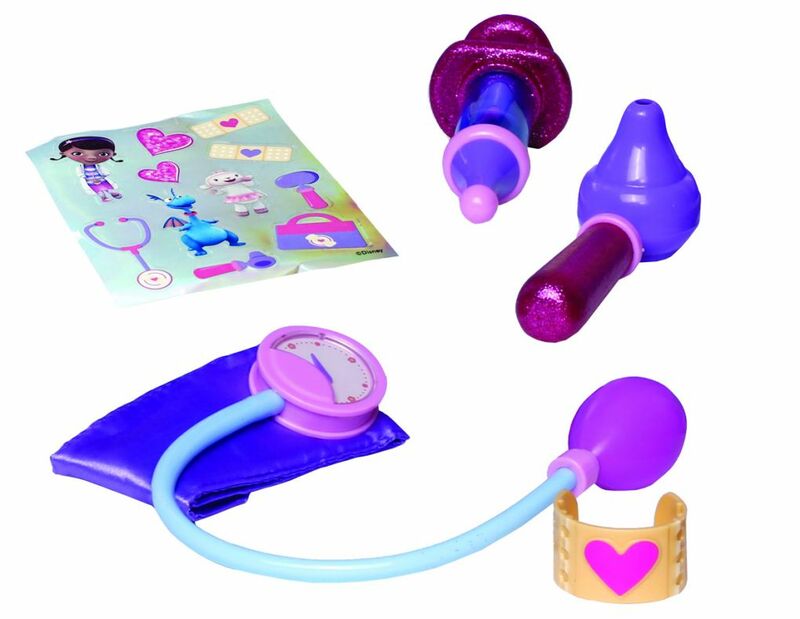 Her favourite thing to use was the ‘Otoscope’ as it really did have magnifying effects, but she also loved the fact that there were stickers with the set and even more so the fact that they were sparkly. As a parent I liked the little details like the fact that when you pumped the bulb at the end of the Sphygmomanometer (Yes I totally googled the name of it!) the needle on the display moved. What I didn’t like was the plastic plaster because LA got it stuck on her brothers arm when he was pretending to be her patient. It is very tight with no give and I can’t imagine that she’s the only child to want to ‘treat’ humans too. The Doc role play set also caused an equal amount of excitement as LA loves dressing up and this set lets her look just like Doc McStuffins, however she didn’t the headband because she said that it was too tight and not comfy. The stethoscope looked quite flimsy but it was surprisingly strong, and withstood being fought over by JR and TP. The dress up set was also really good quality which as been something that I have found in the past with dress up sets can be a problem. 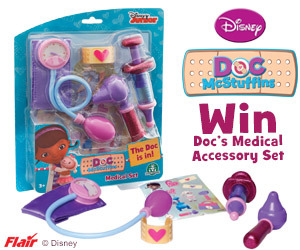 If your child loves Doc Mcstuffins too why not click the picture below to enter a competition to win Doc’s medical accessory set! « L.O.L Surprise! Hits the U.K.